Quail eggs have been known in centuries for their health benefits in Asia but they have been accessible to only a few select : mainly the emperors and their close courtiers. In recent years quail has become the concern of commercial farming and people have been introduced to the miraculous nutritional qualities of the quail eggs. Still, getting to buy fresh quail eggs was not easy and the main consumption was of their pickled form. As the demand grew, producers found the way to come closer to the consumers -- I made a surprising find by coming upon fresh quail eggs on Amazon. I am keeping a small number of quails myself -- because of health issues. I started almost two years ago, so my first batch of birds that I bought live are about to give up on laying eggs. My experience with the birds has been a good one as they are very easy to keep, very nice and sweet creatures, modest in the attention they need by the grower. Still, they were a concern when making plans to travel on a holiday or any other trip -- to find someone to feed and water them. I got used to have the quail eggs in my diet on a regular basis -- in the period I included quail eggs in the menu I have noticed remarkable good changes in the appearance of my hair, skin and general fitness. I learnt about the quail egg properties from my sister who had to undergo a lengthy period of treatment for osteoporosis -- at the end she was advised to consume quail eggshells. She started growing quails and got not only cured of her illness but getting totally fit and looking and feeling younger by twenty years. She even got married after the treatment! I am very pleased to see that I have now the option to buy my fresh quail eggs in the future just like that, online, by the click of a mouse. If my own little quails are not behaving -- I can turn to Amazon to lay me eggs, and let the bad birds go free into the bush. Quail Henry is calling out -- see what is quail? 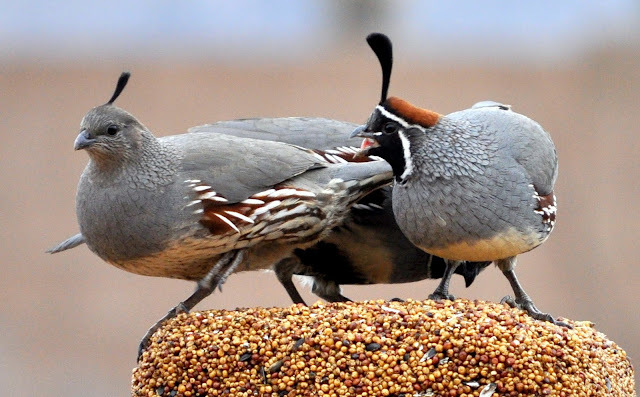 - quails know about the benefits of nutrition? Little sweet birds, the quails sing with soft, tender sounds. Quail recipes for eggs are considered a natural nutritional supplements -- recommended in a number of ailments by the alternative medicine practitioners. They can be used by anyone as they have no side effects/ contra indications. The benefits of eating quail eggs and their shells have been well known for centuries. Used as an alternative medicine, the health benefits of raw or cooked quail eggs are the focus of modern alternative medicine as their constant consumption has no side effects. Used as a seasonal food, the quail egg has a positive impact on nutrition. The cholesterol of quail eggs is different from those of the chicken eggs. The eggs might be consumed raw or cooked. For the raw egg eaters there are quail recipes to make them into a nice and tasty beverage by mixing them with milk. Please find easy quail recipes if you scroll further down the page. quail eggs have strong anticancer properties; help by inhibiting the cancer growth; are natural alternative remedies that help in cancer treatments. quail eggs help the body to eliminate stones from the gall bladder, are alternative remedies for the the liver problems, also natural remedy for the the health problems of the kidneys. they strengthen the muscles of the heart and help the recuperating process after a stroke, being a natural alternative to conventional treatment in weak heart condition. quail eggs strengthen the nervous system, improve memory; are a brain activity booster. quail eggs are a powerful stimulant acting as a$ sexual potency booster. 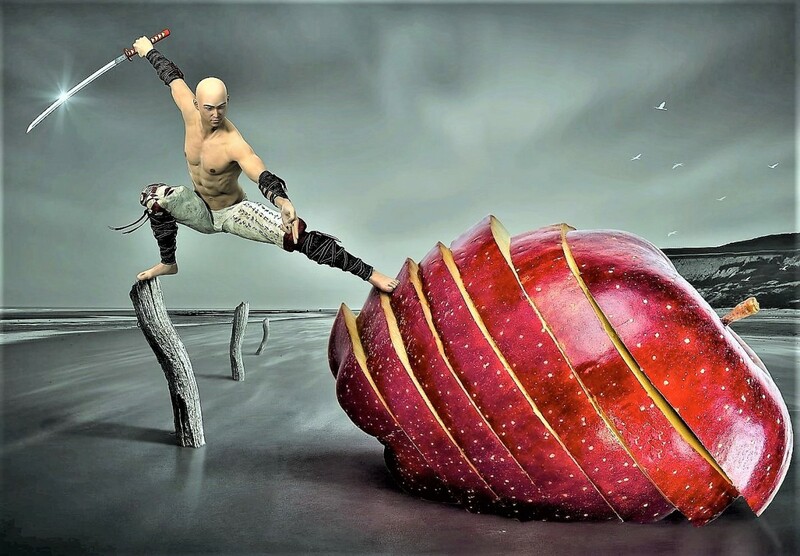 The prostrate gland is nourished with phosphorus, proteins and vitamins and restore sexual potency in men. Quail eggs are not only healthy but also very tasty -- they can be integrated into meals that are fully enjoyable. Besides the many Asian recipes that are using traditionally the quail egg, there are are the Western recipes where the chicken eggs can be replaced by quail eggs for a decorative effect as well! The cute little eggs used in any recipe will make a dish of surprise and the bon appetite will instantly come through. Find below examples of quail egg recipes. The simplest recipe for quail egg! -- quail egg shells can be grinded with a coffee grinder (electrical or manual) and the powder can be added to salad dressings -- they improve the bone density. Scientific research that provides information to modern nutrition, medicine and cosmetics industries shows important health benefits they have if used in human consumption. Quail eggs have remarkable natural qualities beneficial for health. Quails are laying eggs with components that used as ingredients in health and beauty products are efficient for improving the condition of people suffering from various ailments. The little eggs are recommended to be part of one's regular menu as a valuable natural nutritional supplement for its overall benefits for health and fitness as well as to address certain specific health problems. Quail eggs capsules for rhinitis, asthma, hay fever, spasmodic cough and skin problems like eczema and psoriasis. The Nutrition and Food Science magazine has published an article in which researchers emphasize the egg's important role in general health protection as well as losing and maintaining body weight. Altacura Allergy tablets based on quail egg extract. Read some more about the health benefits from quail egg consumption to find out the facts. If you are lucky to live in an area where quail farming or quail eggs micro production has started you can pick on the chance to include the little quail eggs into your menu. The quail eggs recipes below are for special occasions. You might find that the time required to peel the quail eggs was worth spending as the culinary result will mark the moment as special to those that will be served and the day will be entirely yours! Pickling eggs are a way to preserve quail eggs for occasions when you are in a hurry but need to have a quick snack -- you or some unexpected guest. Pickled quail eggs are easy to make as several recipes below will show. Pickled quail egg recipes are various and different -- some are hot, others are mild and a different spices or herbs will give them the individual taste that makes home made canned food so special. Find your favorite pickled quail egg recipe and keep your pickled quail eggs jar handy. A nicely presented jar of pickled quail egg, made according to a special regional recipe could also be a suitable gift, surely well received by anyone. Have fun pickling some quail eggs! Hot pickled eggs -- recipe courtesy of Emeril Lagasse from Foodnetwork. There are several species of quails living in the wild. 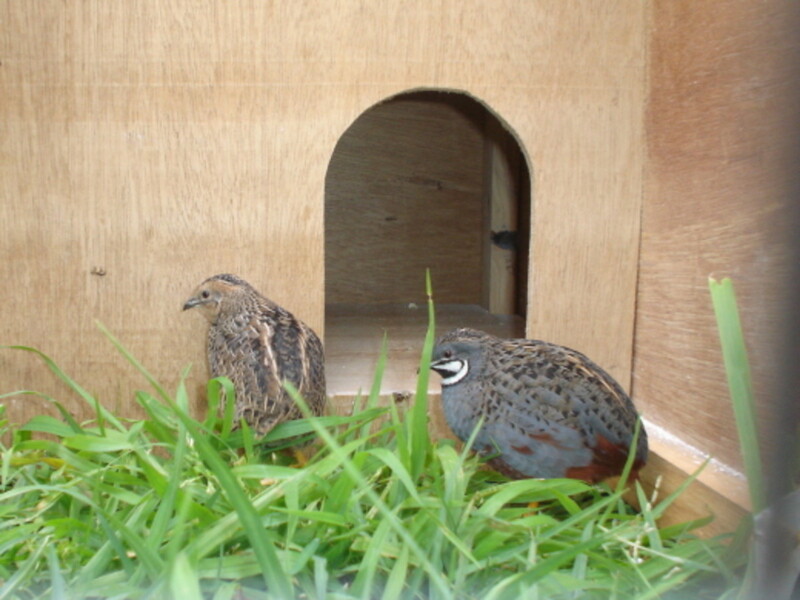 Wild quails are laying only a few eggs that they hatch. Game farms create a special quail habitat for quails to live in semi wild conditions and keep them in numbers to be convenient for hunters and for wider nature conservation purposes. The really wild quails are living in bushy areas or in the fields and they keep in flocks. Another name for the quail is partridge. Beside its health benefits, the wild quail also benefits nature by its gentle presence. The beauty of the wild partridge inspired artists to paint the birds alive in their environment or as still life artworks. There are also songs dedicated to the gentle partridge. In the wild, the little quails are sometimes pursued by hunters when they hide in the tall grass or in trees. The immune system booster qualities of quail eggs are documented by scientists in their research and by true life experience of farmers and consumers. Read more on the immune booster properties of quail eggs if you want to make an informed decision of including them into your diet. Boosting immunity would help in every aspect of your fitness and well being. One does not have to wait till getting sick of a serious illness -- it is better to prevent them by constantly boosting the immune system. Eating quail eggs is only one way to do that -- but it is available for most people -- and comes in a tasty and enjoyable option. Quail eggs are cute -- quails are laying more eggs in captivity then in the bush. The quail is a little bird -- quails are living free in many parts of the world but recently they became the object of farming. Some people just grow a few as pets or for own consumption of eggs. Why quail eggs to keep you healthy What are the quail eggs health benefits? Values of nutritional elements in a list. A description of health benefits of quail eggs. Informed figures about quantities and reasons of quail eggs in a diet. Quail or partridge? - The partridge is the old world name for the medium sized birds. Few useful tips about storing, cooking and eating the quail eggs in the quail recipes. One concern when buying fresh food is the real freshness of it -- food poisoning is never an option one would gladly choose. Quail eggs are very easy to check -- just place them into a bowl with water -- the eggs stay on the bottom when they are very fresh. Quail eggs can be stored in a normal fridge -- two, three weeks would present no risk to the consumer. If there is no functioning fridge around -- place the eggs into lime water -- lime as in the white natural substance that has been used for painting the walls in the past. If there is no lime available -- place the eggs into a watery clay in a container -- these are old storing tricks that work today too, even for regular chicken eggs. The benefits of raw quail eggs are known -- the egg yolk keeps more of it nutrients when it is used raw. However, quail eggs are keeping their health qualities even when cooked -- boiled or fried. The number of quail eggs that a person can eat is not limited. Quail eggs differ from the chicken egg in that they have no bad cholesterol at all, therefore they can be eaten by people of any age; they are highly rec commanded for children and senior persons for the content of vitamins and calcium that is easy to process by the human body. The pic illustrates the difference between the appearance of quail eggs from a regular chicken egg - both fresh. In case of being used as a natural remedy treatment for the various ailments that they can help against -- a dose of one-two eggs should be consumed -- daily, or two , three times per week in an amount combined. Quail eggs are now widely available in Europe -- one can buy them from any supermarket or corner store. Those who have no east access to quail eggs from shops might consider to grow their own quails. Find more below on how to grow a few quails in your backyard for your own consumption. 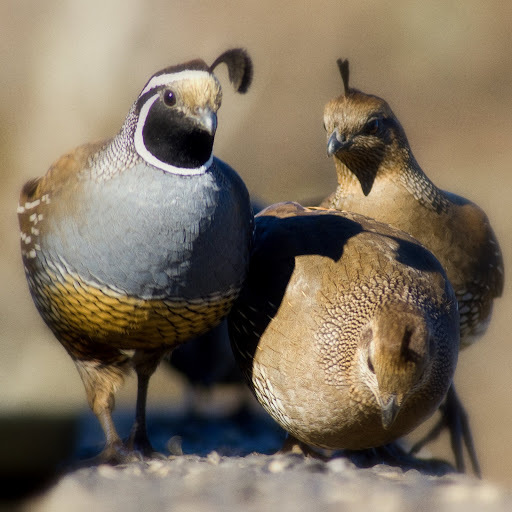 advice and information on quails as pets -- by one that has them. Fertile quail eggs and mini incubators for quail growers. The eggshells should be washed and dried then a coffee grinder can make them into powder. 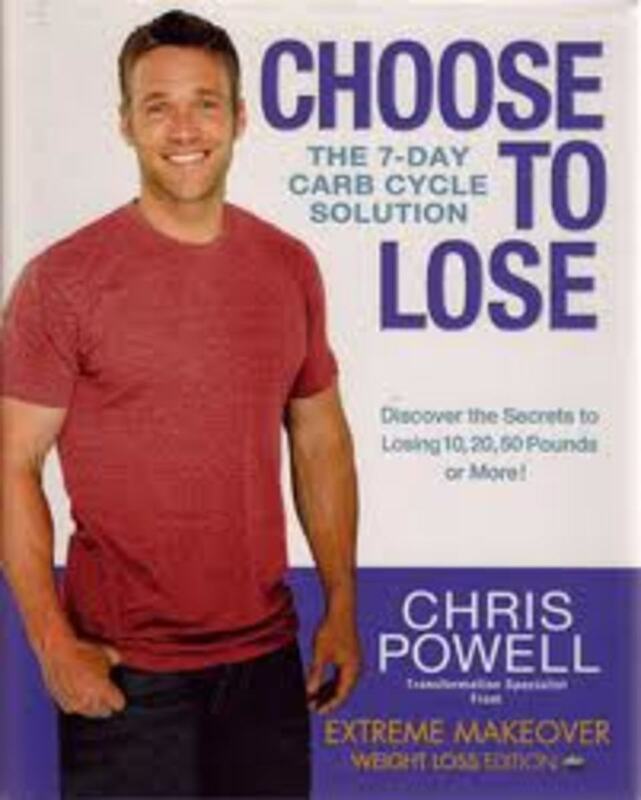 Store the powder in a jar and use daily as a supplement. Added into salads or cooked food - the equivalent of one quail egg per day -- will keep the dreaded osteoporosis away. If the illness is already set -- do the same for getting cured -- but you should increase the amount. There are no side effects. The power of the quail eggshells in a quail recipe -- eggs health for keeps! This is the reason why quail eggs are best be bought fresh -- so that one can use the eggshells for their healing properties. The quail recipes that I favor have fresh quail eggs as an ingredient. Whenever I boil quail eggs -- I place them into a jar with vinegar-- and leave them for ten minutes. The vinegar will dissolve a greater part of the shells and store the calcium into itself. I am using apple cider vinegar as it has ab added health quality. The apple cider vinegar is strained after the process and I store it in a bottle in a dark place. This is one little known quail recipe. This vinegar is an ingredient for salad dressings that I prepare from time to time, keep in dressing containers and use daily over my vegetables- cooked, baked, steamed or broiled. It is a most potent prevention of osteoporosis -- the enemy that attacks 50% of women over 50. Raw eggs beaten and mixed with warm milk was used as a remedy in Eastern Europe against colds, flu, sore throat, laryngitis. Raw quail eggs can replace the normal chicken eggs in this old and well known recipe with even greater success -- as there is no limitation on the number of eggs per day that can be used safely. This home made remedy is known in its several varieties across the globe now: in the USA and England a variety that includes the use of whisky or brandy is called Eggnog; while in Eastern Europe it is known under several names with Russian/Yiddish origin: Kogle-Mogle, Gogle-Mogle, Gogl-Mogl, Gogel-Mogel or Shodo. Beat raw eggs with a fork or with an electric egg beater. Keep the shells for grinding and using it later/another occasion for the calcium contained. Beat into the mix the preferred sweet stuff -- sugar or honey. Warm up the milk -- carefully as not to get it too hot: hot milk coagulates the egg. Ideal temperature of milk is a bit above the body temperature. Beat the milk into the egg mixture. Just have it on the spot. Keep well! Cast your vote for Raw quail egg can be eaten easily when mixed with warm milk and sugar or honey. Preheat little olive oil/ preferred cooking oil in a pan. When oil hot, pour the eggs from container into the pan. Place lid over the pan for one minute. This is to contain the steam -- cook the fine layer of egg white over the yolk and keep it moist. Remove lid after one minute and check the yolks. If you like yolks to be hard, leave the lid on again for another minute. 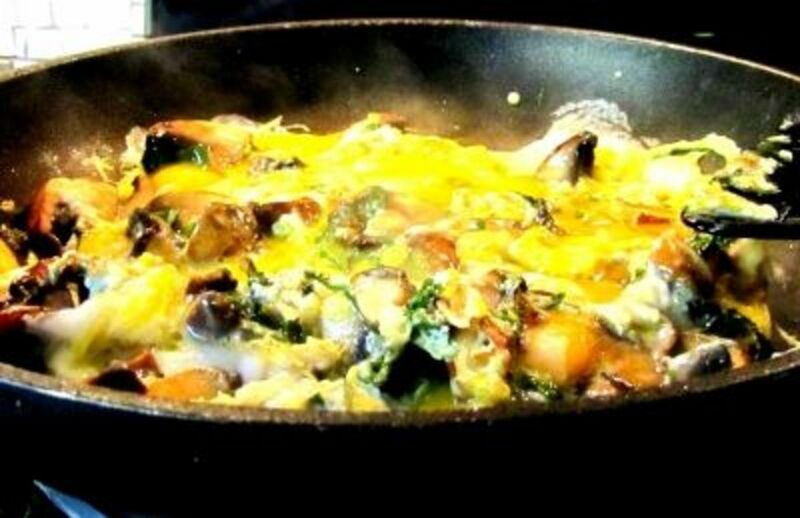 Remove eggs from pan onto a plate when done according to personal taste,(well or medium). This is my favorite quail recipe. In the pic there is a regular egg next to the quail equivalent of two more regular eggs -- for reference. Quail eggs are good for you! - What to do with quail eggs? Quail eggs are good for you -- just try them. As a daily nutritional supplement, or as a rare treat, anyway you eat quail eggs it would be good for you. What do you do with quail eggs? Forum for exotic recipes. Some consumers dicover the timy quail eggs and share their experience. Quail recipe for stuffed quail eggs - quail eggs recipes are easy to follow! This is a more time consuming dish -- I mostly make it because on this occasion I can save the apple cider vinegar in which I soak the boiled eggs -- for easy peeling. However, every time I take my time to peel so many little eggs and serve this plate with the little stuffed quail eggs, I get a big round of applauses from those who eat them -- usually guests at home or at some community events. That makes any effort in preparing this quail recipe to be worth of the time used up. This quail recipe call for the eggs to be first boiled hard. Boil quail eggs for five minutes. Remove quail eggs from boiling water. Place quail eggs in a jar with vinegar -- leave for ten minutes. Mix all ingredients with hard egg yolks into a paste. Fill hollow of boiled egg whites. Place stuffed quail eggs on plate -- let people stuff their faces with them. If it looks simple is because it is simple. This quail recipe is really easy to make. Serve and eat and be happy for this quail recipe. This quail recipe is using the birds rather than their eggs. The quail meat is light and tasty -- the meaty parts are the breasts. The legs are a tasty nice bit that must be enjoyed while eaten with hands. The cooking itself is extremely simple -- the ingredients for the marinade are easily available . The honey in the recipe could be replaced with a tsp of sugar -- if honey is a problem to get. Photo and more grilled quail recipes from Cooking Corner. This quail recipe suggests grilling the quails. There is however the option of being baked in a foil, or in a halogen oven or even broiled in a pressure cooker -- the meat will be tasty and tender, no matter the choice of preparing it. It is important though to keep the birds in the marinade for at least four hours -- the best option is for overnight. According to all quail recipes, the quail meat needs some tenderizing before cooked. I am serving quails with vegetables, baked in the oven but it is a free choice of what the side dish should be. Rice, noodles, steamed vegetables -- they all complement nicely the quails. Enjoy the meal and be happy! Share the quail recipe with friends. Quail prepared according to a gourmet quail recipe can be a surprise for a special guest or for the family dinner on a special occasion..
A quails is a beautiful creature -- not only good natured and useful for their eggs. The little quails are pictured by photographs for the elegant line of their posture as well for the colors of their feathers. The patterns on the chest of a quail will show the birds' gender. The little birds called quail are getting popular. There are entire projects running to make their number increase again, after people concerned about nature conservation observed that the number of quails living in the wild decreased dramatically. However, the number of quails farmed for their eggs is in no danger, on the contrary. There are more people learning about the health qualities of quail eggs and they support the market for growing the birds in captivity. 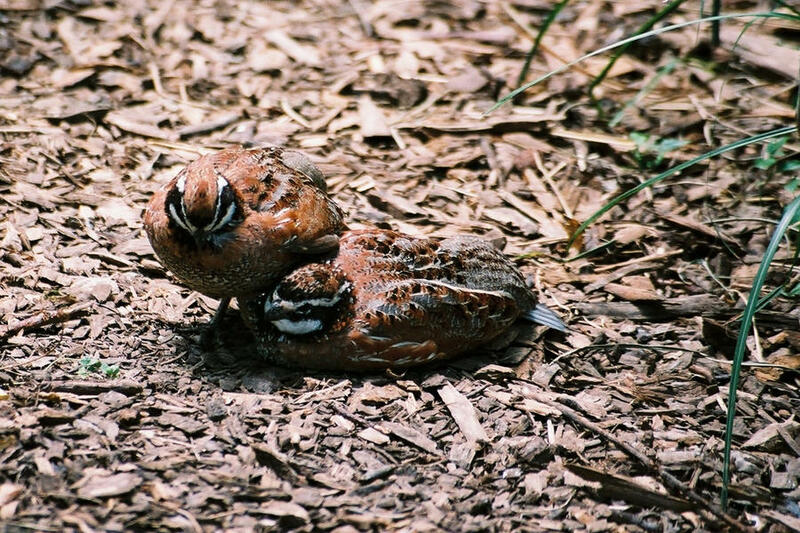 The wild quails are not laying many eggs – only a few for the reproduction of the species, but they are part of the greater environment that needs all the elements that nature has put into it. Quail recipes -- now you only have to get the quail! - There are quail recipes for every taste! Roast quail with rosemary, garlic and thyme. This bacon wrapped grilled quail recipe would blow your guests mind away! The cosmetic industry is busy catching up with scientific research -- there are beauty products based on quail egg components. Researchers produce ingredients for the cosmetic industry from quail egg extracts. Tell us about your health -- do you need fresh quail eggs for the quail recipes? 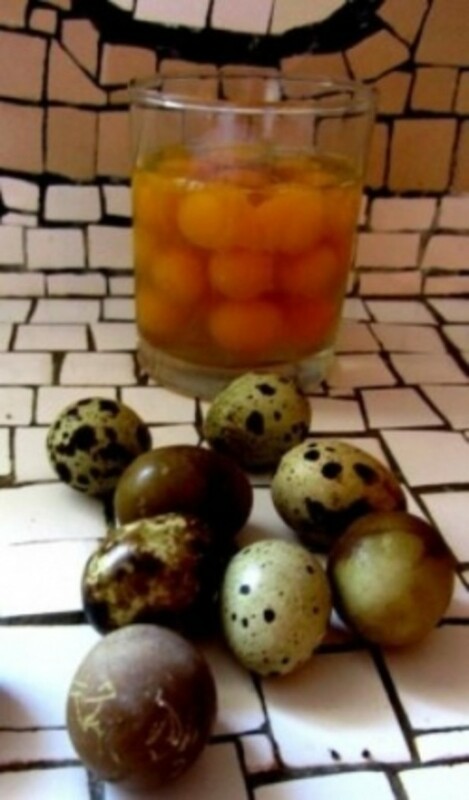 - Would you try the benefits of raw quail eggs? I have just started to raise quail for eggs and meat .... and am presently having problems because they are just such funny and songful little things. The meat part may not happen! However - can you tell me at what age/size you slaughter the birds if I do decide to go there!? Thanks - great lens and I can't wait to try quail eggs. I had no idea that a) people ate quail eggs and b) they had health benefits. This is a great lens! as a wild game lover, nothing is better than not only quail eggs, but quail wrapped in bacon with brown sugar!!! We have a quail farmer just up the road from us so I regularly buy the eggs. My husband loves them raw, but I prefer the eggs boiled &amp; peeled, served with a bit of mustard. 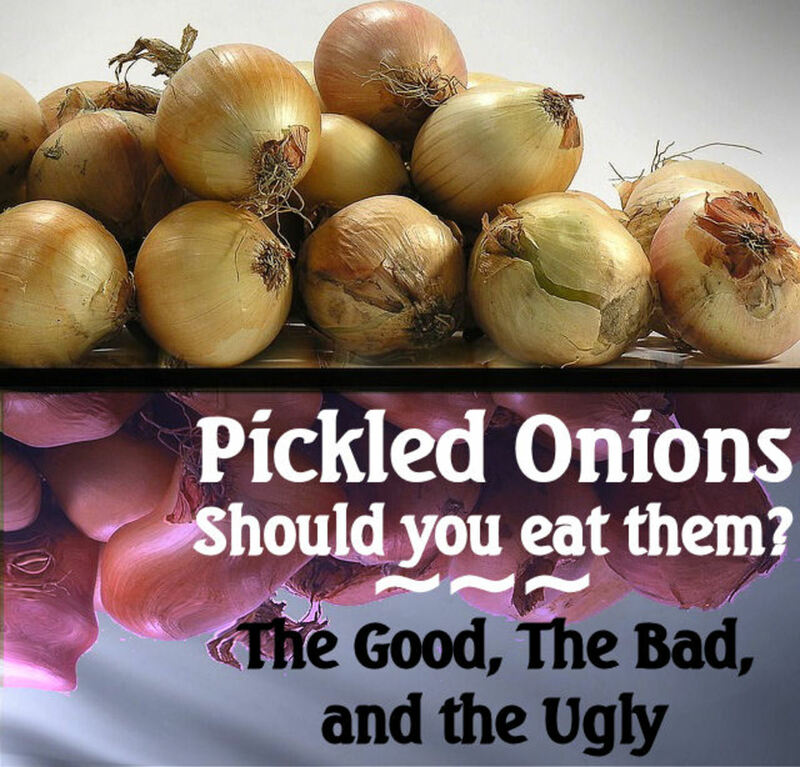 They're delicious &amp; so good for you! I did not know these benefits before. 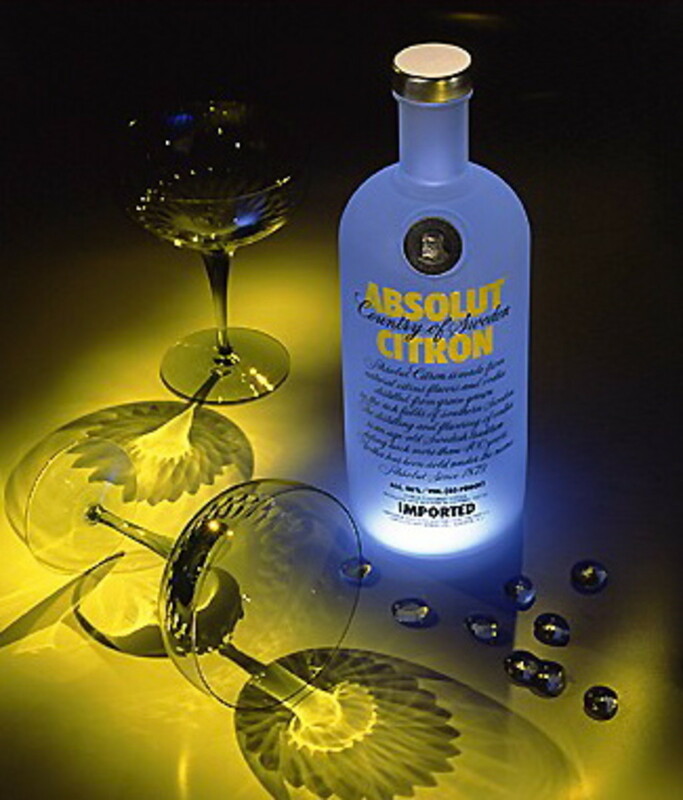 I will have to get some of these. I've been hearing so many great things about quail eggs lately. Wow - I have always had a strange reluctance to try quails eggs - no obvious reason - but clearly there would be benefits to having a go. Great lens! Very interesting lens. I've never tried quail eggs but hope to get my nerve up soon. Iv'e always loved to see quail eggs but I've never tried them, and I knew nothing of their health benefits, now I'm even more inspired to try them, but not raw though. I love quail eggs, and look forward to trying some of your recipes! I didn't realize that quail eggs were so healthy. I get them sometimes at sushi restaurants. These recipes look pretty interesting. Interesting, I wonder if I can find them; I live in the Bronx, I'm sure there must be a source in NYC (or maybe the Quails at the Bronx Zoo wont mind if I help myself, lol). Good Lens, thanks for the info. I know that eggs are indeed a complete protein so very beneficial to those who have difficulty digesting protein but I wonder if the extra benefit of quail eggs is in itself the tininess of the egg or in the fact that out methods of chicken farming are not suitable to good clean eggs being produced by the birds? A very good article on a very interesting topic my friend. Have a wonderful holiday season. quails are tasty and quail eggs are not fattening while very healthy. Never heard of eating these eggs before. I don't know if they are available in Australia but I will certainly be checking it out. Thanks for doing this and for all the advice. Very interesting. Like to learn new things. Lots here I didn't know. never tried quails eggs. but now i am considering a try. well presented lens. Personally, I have never got to taste quail's eggs, I would love to taste though. I had never known it is full of benefits and of course, tasty too. Quail eggs are apparently a super food with almost countless benefits to us and feeling like royalty is a nice side benefit. I've been seeing a few articles on quail eggs but this is the first I've heard of using the shells to prevent osteoporosis, now that is a great waste not, want not. You've even included recipes including for the yummy grill quail. Very nicely done! I've eaten quail before but had not thought about their eggs. Very interesting lens! I start my quail egg diet right away -- want to be younger by those years! @darciefrench lm: I hope the eggs got hatched and the tiny birds are all well. Well done for bringing this bird`s eggs to spot light! i love quail eggs but never thought of its health benefits especially its egg shells. Wowie... Never knew much about the tiny secrets of these bird eggs. Three cheers and five stars. I had no idea about health benefits of fresh quail eggs - cool! My daughter was raising 'button quail' - trying to hatch these teeny tiny little eggs.